Joan Manning was elected to the Board in 1995 and is currently serving as the Board's president. After her father retired from the military and settled in Copperas Cove, she met and married her high school sweetheart, Jay. After attending college, they returned to Copperas Cove to be closer to her family. Mrs. Manning and her husband currently own Manning Homes, a family building business in Copperas Cove. She stays busy being a mom and a grandmother to five, working in the building business, serving on several local boards, and being an active member of Eastside Baptist Church. 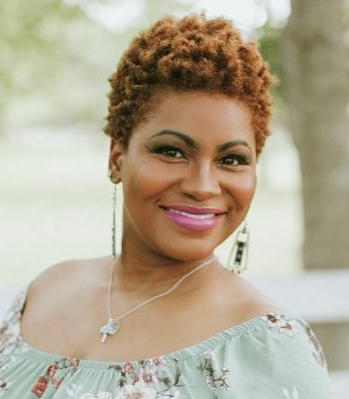 Shameria Ann Davis was elected to the Board in November, 2018 to a full three-year term. Ms. Davis received Bachelor’s degrees in Political Science and Psychology from the University of Houston. She is an Army Captain who has served in the United States Army in both Active and Reserve components for 17 honorable years and counting. Ms. Davis is an avid volunteer with several community organizations, including the Parent Teacher Organization at Williams/Ledger Elementary School – previously serving two years as an officer and is currently serving as the Treasurer of the Beta Xi Chapter of Sigma Phi Psi Sorority, Inc.
Ms. Davis received a Master’s degree in Public Health from the American Military University and is a Corporate Wellness Consultant with the Texas Association of Counties. Ms. Davis is a member of Destiny World Outreach Center and serves as a camera director and worship leader. Inez Faison was elected to the Board in 2007 to fill an unexpired term. In May 2009, she was elected to a full three-year term and currently serves as the Board's Vice-President. Mrs. Faison received a Bachelor's degree in Accounting and was commissioned in the Army in May 1981. She served 12 years of active duty, retiring in 2006 after spending the majority of her career in the Reserves. In 1991, she received a Master's degree in International Business from St. Mary's University. Over the past 27 years, Mrs. Faison has served in a number of officer positions, taught ROTC, and attended classes at Oklahoma State University. Mrs. Faison is actively involved in a number of community organizations. She currently serves as president of the Noon Exchange Club, vice president for programs in the Altrusa International Club of Copperas Cove, member of the board of directors of the Boys & Girls Club of Copperas Cove, member of the Killeen Alumnae Chapter of Delta Sigma Theta Sorority, Inc., and director of business operations for Copperas Cove Crusaders AAU basketball organization. 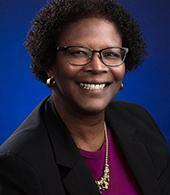 She is currently employed as the Executive Director of the Housing Authority of the City of Copperas Cove. Jim Copeland was elected to the Board in 1999. After serving in the United States Air Force for 28 years, he came to serve the CCISD community. He taught junior high school and high school for 12 years, and retired as an assistant principal at Copperas Cove Junior High School. 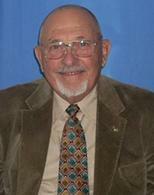 He also served on the Copperas Cove City Council for three terms. Mr. Copeland is a graduate of Tyler High School, holds a Bachelor’s degree in Education from West Texas State University, and a Master of Education degree in Education Administration from Our Lady of the Lake University. 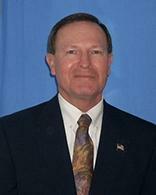 Mike Wilburn was elected to the Board in 2007. After graduating from Southwest Texas State University with a Bachelor’s degree in Education, he began his teaching career with CCISD as an elementary physical education teacher. He then received his Master's Degree at Tarleton University and after seven years of teaching and coaching, became vice principal of J.L. Williams Junior High School. Later, he served as principal of Fairview Elementary School for three years before becoming an Education Instruction Specialist for the IBM Corporation in Atlanta, GA.
Mr. Wilburn returned to Copperas Cove in 1986 and became principal once again for Fairview Elementary. He then went on to serve as principal of J.L. Williams Elementary School and Copperas Cove High School. He finished his career by serving as Executive Director of Secondary Education and Technology until retiring from CCISD in July 2006. Mr. Wilburn has served as a member of a number of community organizations to include; the Association of the United States Army, Copperas Cove Lions Club, Chamber of Commerce Board of Directors, City Traffic Safety Commission, Copperas Cove Chamber of Commerce, Copperas Cove Quarterback Club and the Keep Copperas Cove Beautiful Commission. 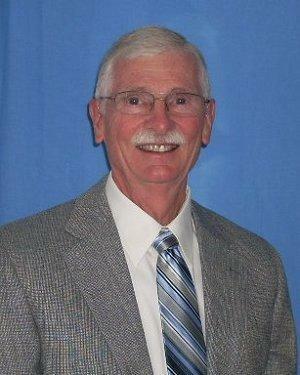 He currently is the chairman of deacons for First Baptist Church of Copperas Cove. Bob Weiss was originally elected to Board in 2003. In June of 2017, he was selected to fill an unexpired term for Doug Cook and in November of 2017 he was elected to complete the term. Mr. Weiss was born in Copperas Cove, but then he moved to Holland, Texas with his family. After graduating from Southwest Texas State University with a Bachelor’s degree in Education, he moved back to the CCISD community to teach. He then returned to Southwest Texas State University to earn a Master of Education degree. After ten years of teaching, he became the principal of Avenue E Elementary School. Later, he was appointed as principal of Lovett Ledger Intermediate School. In 1999, he retired after 36 years in education. Mr. Weiss is also active in a variety of community organizations and is an active member of Grace United Methodist Church. Dr. Harrison was elected to the Board in May 2011 and serves as the Board's Secretary. She received her bachelor's degree in English from Baylor University in 1992. She received her medical degree in 1996 from the University of Texas Health Science Center at San Antonio. She then completed her residency in Internal Medicine at East Carolina University/Pitt County Memorial Hospital in Greenville, North Carolina. In 1999. Dr. Harrison worked at Scott & White Hospital in Temple from 1999 to 2007 where she was also an Assistant Professor of Medicine at Texas A&M School of Medicine. In 2007, she and her husband Ray moved their internal medicine practice to Copperas Cove. In June of 2014, the Drs. Harrison joined Baylor Scott & White and opened the new Copperas Cove clinic. 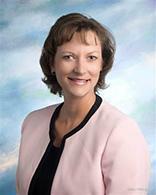 Dr. Harrison is a native of Copperas Cove and graduated from Copperas Cove High School in 1988. She is also the Medical Director for the Copperas Cove Free Clinic. 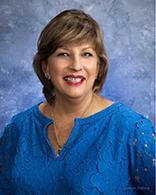 Dr. Harrison serves as the Chairperson of the Development Committee for the Copperas Cove Education Foundation. She is an active member of Grace United Methodist Church where she teaches Sunday School. She and her husband Ray have three children.